If you want to know your dog loves you, Chiquita is your girl. She will jump in your lap, give you kisses, and snuggle you all day long. She makes you know you're important and only asks for the same in return! 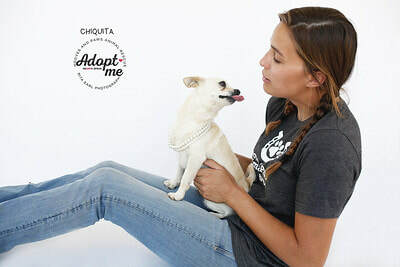 Chiquita loves to spend time with all of our staff and volunteers but wants her own home too! 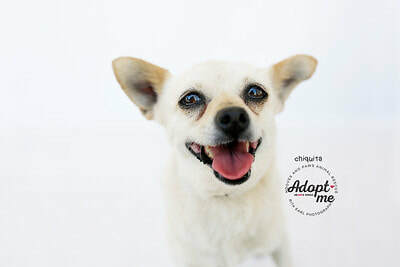 Chiquita is a fantastic leash-walker, is good with other well-socialized dogs, and has done well around our resident cat.